The autonomy individuals enjoy as adults is easy to take for granted, but if someone is concerned about retaining control over their life and living situation into their later years, advanced asset protection planning is needed. Finances are a concern for almost everyone, and making sure there is enough money to cover medical and living expenses, especially if nursing home care is required, is unlikely to happen if assets are not sufficiently protected and managed. The cost of assisted care, regardless of source, can easily deplete everything a person has built over a lifetime, and leave their family with a lot of debt to handle after his/her death. Nursing home care is particularly expensive, and most people have no way to afford this option without assistance from Medicaid. However, Medicaid coverage is only offered for those found to have sufficient financial need, and is limited to those with countable assets of just $2,000 for individuals and $3,000 for married couples. If a person has countable assets in excess of this amount, Medicaid coverage is not available until an individual reduces the value of his/her assets to this amount. However, there are often ways to manage and protect excess assets to enable someone to qualify for Medicaid coverage. Establishing a trust is one commonly-used method to achieve this end. A discussion about creating the right kind of trust to achieve Medicaid eligibility, as well as the disadvantages of waiting too long to set up this asset protection vehicle, will follow below. There are two basic types of trusts: revocable and irrevocable. Revocable trusts, often called living trusts, are very popular because they allow the creator to retain control over trust assets for his/her own benefit and terminate the trust at any time. But, this control is the very thing that will work against someone seeking to qualify for Medicaid. Because the creator has the ability to control and access trust assets at any time with a revocable trust, the value is counted towards a person’s assets for purposes of Medicaid, and will disqualify him/her until the trust is depleted to the allowable maximum. Irrevocable trusts, on the other hand, take control and access to assets away from the creator, and place them in the hands of a trustee. This lack of control results in these assets not counting toward Medicaid eligibility, allowing a person to qualify for assistance, though coverage may not be immediate. 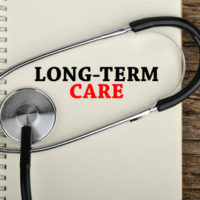 Unless a person is proactive and establishes a trust long before nursing home care is necessary, coverage could be delayed if transfers happen during Medicaid’s five-year “look back” window. Currently, any money given away or transferred to a trust during the five-year period immediately preceding a request for Medicaid coverage is subject to a penalty period, which can delay coverage. How long coverage is withheld depends upon the value of the assets transferred compared to Medicaid’s regional rate for nursing home care in a particular geographic area. For example, if $150,000 was transferred, and the regional monthly rate is $9,000, coverage would be delayed more than sixteen months. During this time, the nursing home resident or family would be responsible for the costs of care until this ineligibility period expires, possibly defeating the very purpose of setting up the trust. However, if a transfer happened more than five years before application for Medicaid, the transfer need not be reported and the penalty period won’t apply. In that situation, Medicaid assistance could begin immediately if the person is otherwise eligible. Consequently, putting an irrevocable trust in place and funding it early on, is one means to reduce countable assets to enable someone to qualify for Medicaid later on, and still leave something for any heirs. Providing for a spouse or children is an important concern for many seniors, and asset protection is the most effective way to ensure resources are available for financial support. Elder law attorney William Rambaum has years of experience helping seniors plan for long-term care, and personalizes his approach to meet the unique needs of each client. If you live in the Clearwater or Oldsmar area, contact his office to learn about the best strategy to protect your legacy.